A few months ago, McArthurGlen Designer Outlet attracted so many shoppers that widespread traffic jams occurred, and traffic attendants had to direct incoming cars into free parking spaces to relieve some of the congestion. However, during my visit last week, the outlet had about as much life as the airport does at midnight. The gloomy jazz music on the speakers did not exactly help. There were many discounts in the clothing stores, but since I was only here for the sushi (who needs clothes when there's sushi? 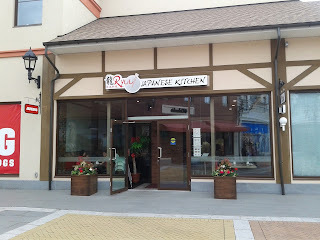 ), I stepped into Ryuu Japanese Kitchen hoping there would be discounts as well. 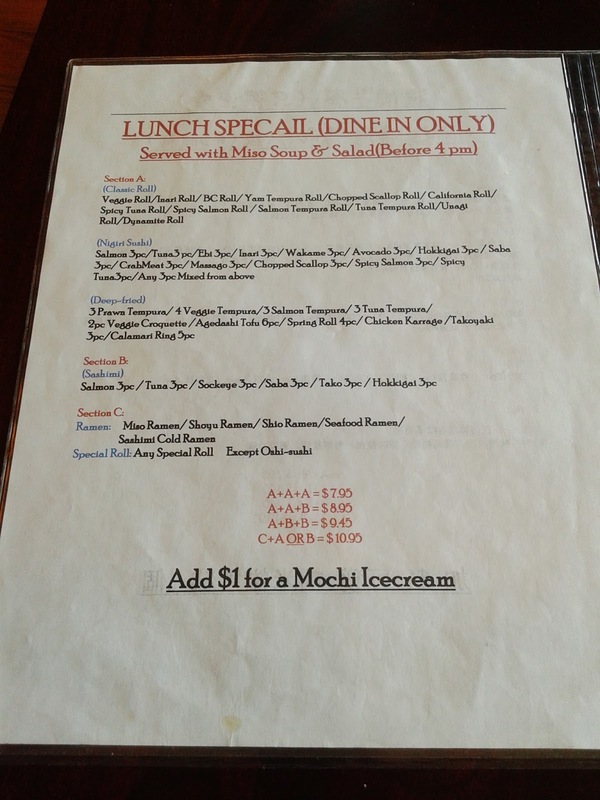 Suffice to say, my hopes were a little crushed when I saw the high prices on the menu. However, my biggest disappointment was that the menu was not the menu that was posted online. 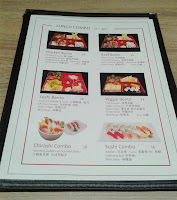 There was no Aburi sushi, no oshizushi, and no Chef's Daily Special Lunch set on the menu I was given. 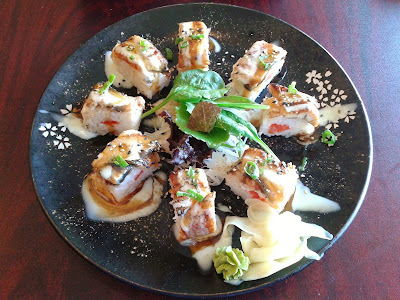 As a last resort, I asked one of the servers if they served Aburi sushi as a special, but she just gave me a very confused look. My dreams were crushed at that very moment. How could they do this to me? 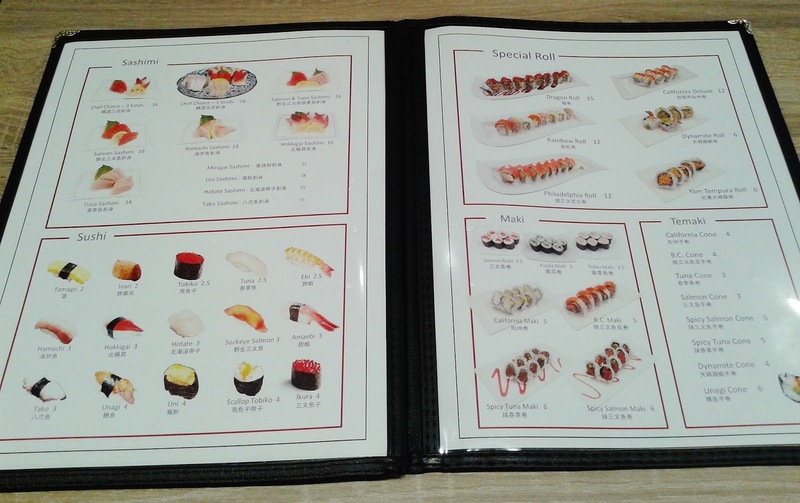 The choices in terms of special rolls were very limited, and they even considered the Dynamite Roll a special roll. 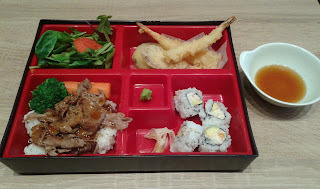 With not much to pick from, I went for the Beef Bento and the pricey $15 Dragon Roll. 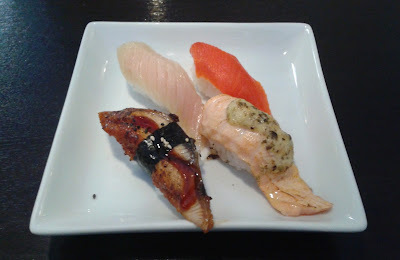 The nigiri was so expensive that I decided not to order any until I was assured of the quality of the food. Come on, $3 for a piece of Hokkigai Nigiri? 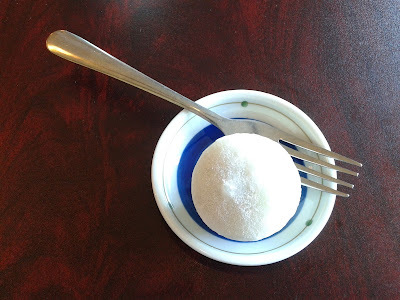 Strangely enough, the labelling on the chopstick wrapper suggested that Ryuu Japanese Kitchen and Neptune Wonton Noodle are part of the same restaurant group. 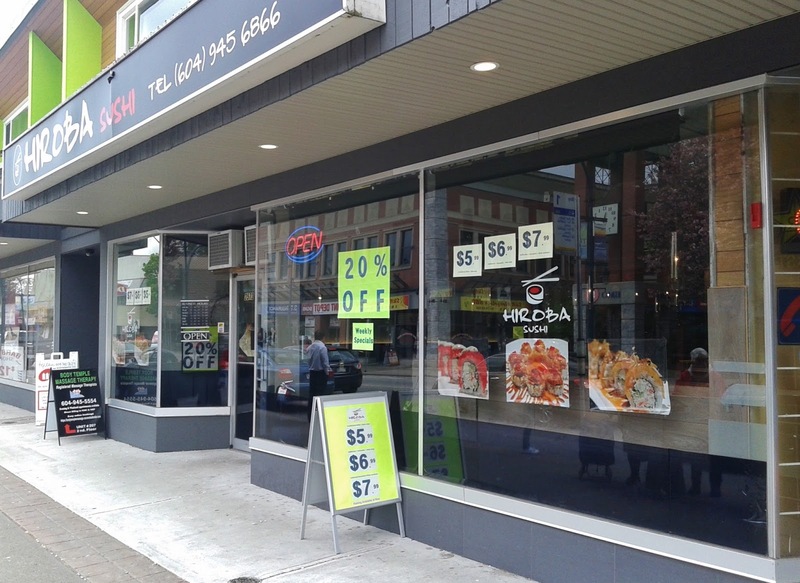 I remember Neptune Wonton Noodle being fairly priced. 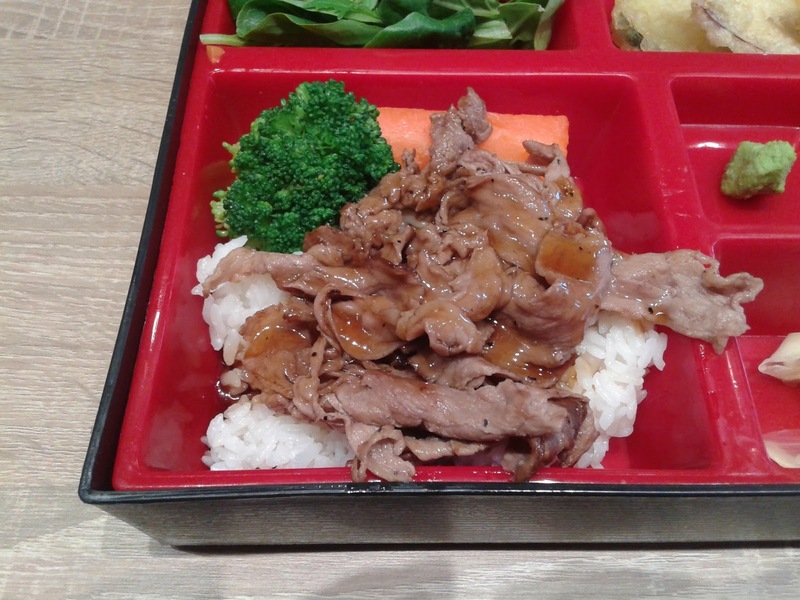 This is the rest of the Beef Bento. 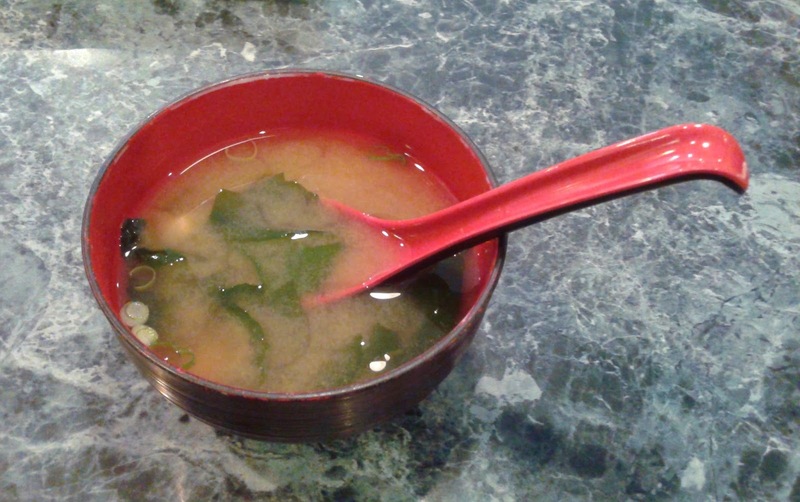 The items looked standard fare and fell short of my expectations considering the $15 price tag. 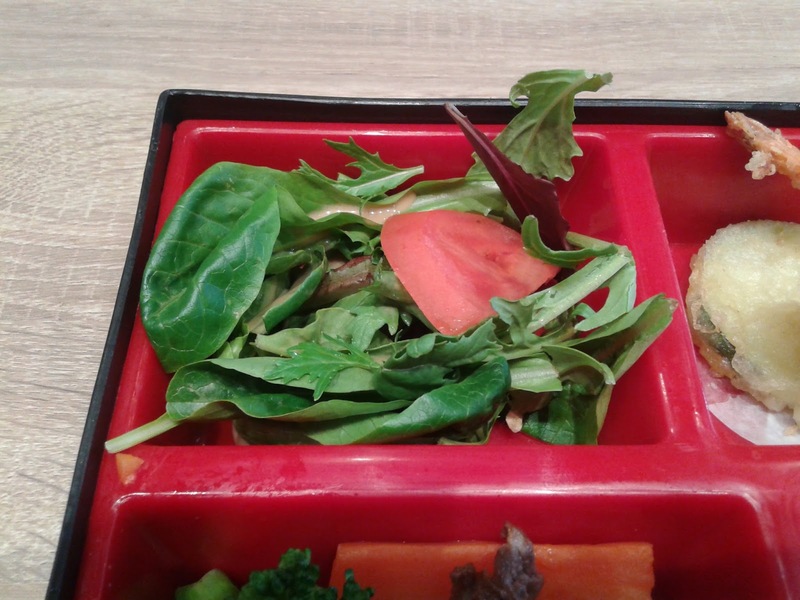 The Salad came with some mixed greens and a slice of tomato. 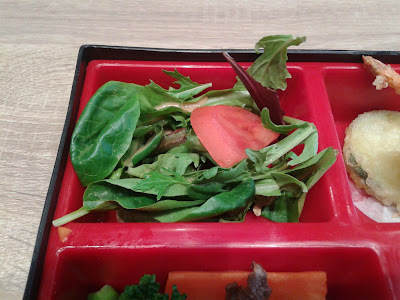 I liked how the Salad was dressed with Goma-ae peanut sauce for a change, but the dressing was uneven and insufficient. 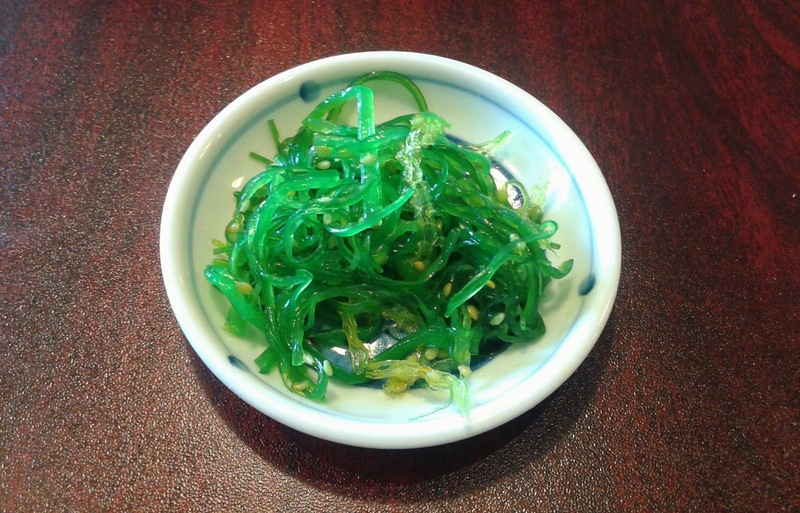 Parts of the salad felt very dry. 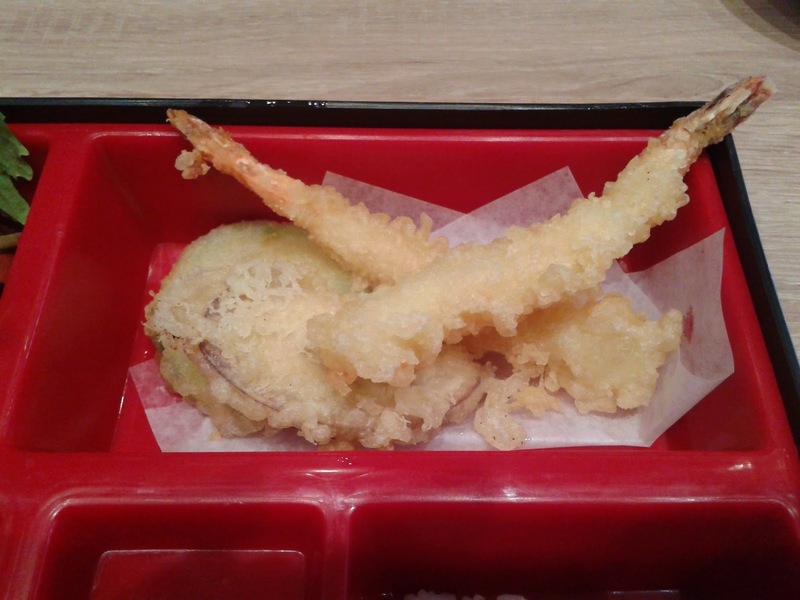 The Assorted Tempura, with two prawns and one piece each of eggplant and zucchini, could be considered the highlight of the bento box. For the most part, the amount of batter was correct, and it was sufficiently crispy. The zucchini was the best of the bunch and tasted juicy and rich. 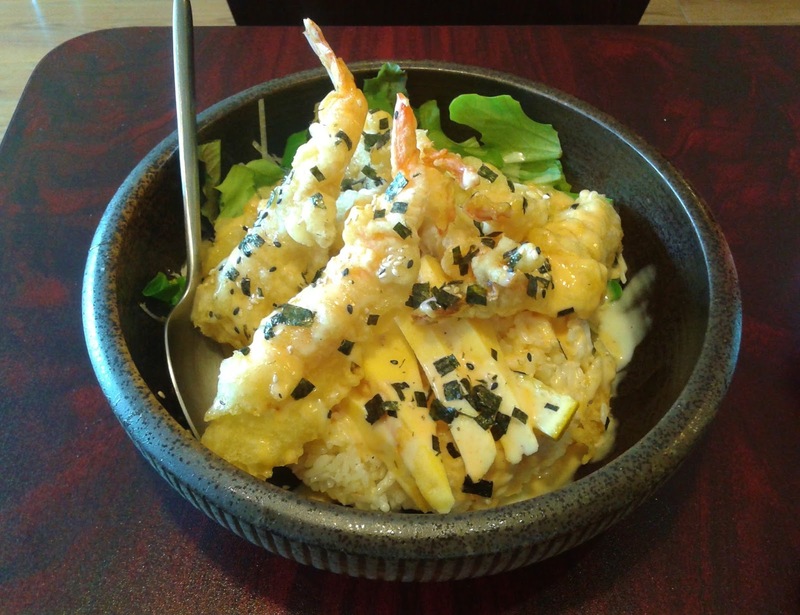 One of the prawns was successful, while the other was too thin and tasted floury. 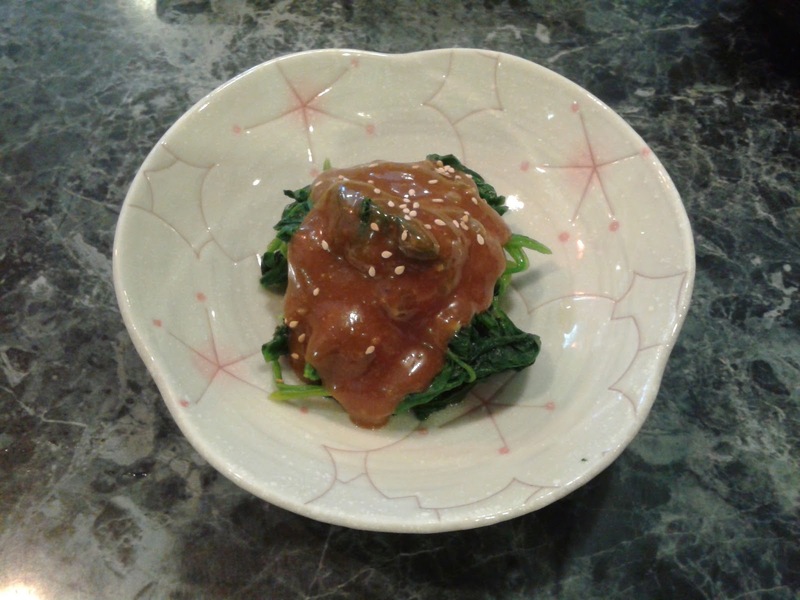 The eggplant was also cut thinly and tasted floury. Unfortunately, things took a turn for the worse with the Beef Teriyaki. The steamed rice was mushy, and the beef was chewy. To top it all off, the carrot was also lacking in flavour. Based on the dish, I think they would be better off hiring one of those dudes at Koya to do the teriyaki for them. Next, the California Roll wasn't so bad. 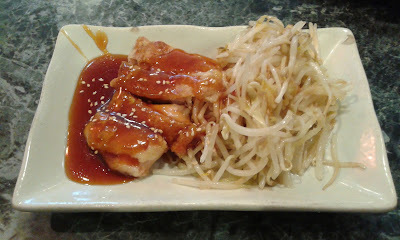 There was even a nice little teriyaki sauce accident on one of the pieces. The crab meat was creamy, and there was a significant amount of avocado. The sushi rice was a little stickier than usual, but other than that, it tasted like standard fare. 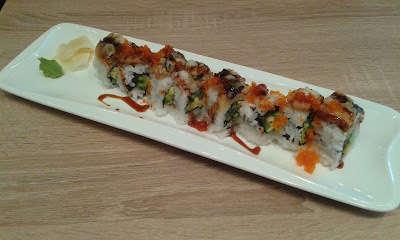 After the Beef Bento, I tried the Dragon Roll, which consisted of masago, tempura unagi, cucumber and avocado. The small pieces of unagi on top had a sweet, savoury flavour. However, this was a very pricey roll considering what I received. For $15, they could not afford to give me any imitation crab meat or prawn tempura! How was I supposed to get my protein for the day?! With just avocado and cucumber inside, the overall flavour was weaker than the typical Dragon Roll, which features either crab meat or prawn tempura (or sometimes both). 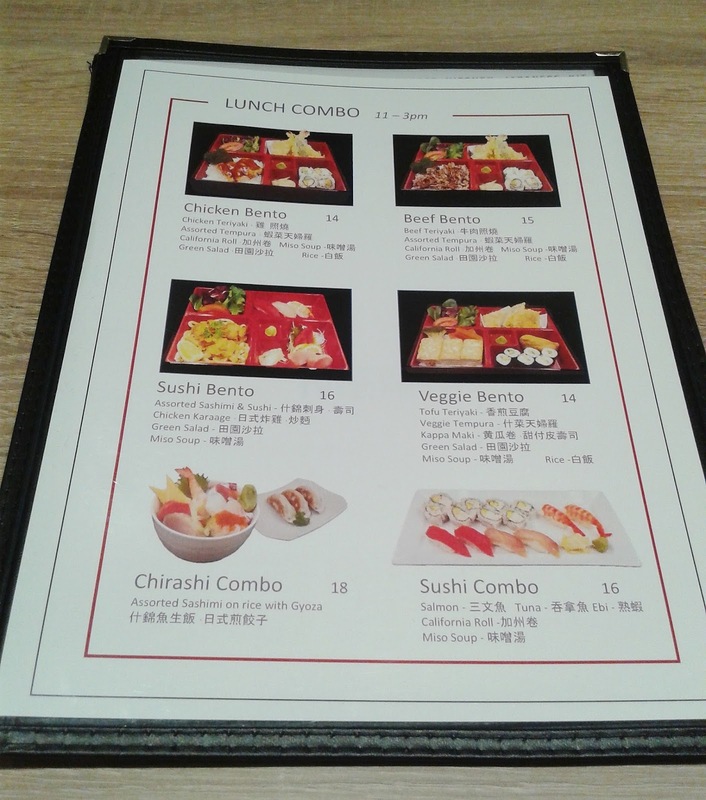 The service was decent throughout my visit, and I also liked the modern decor, though it was styled more like an elegant Hong Kong cafe than a Japanese restaurant. 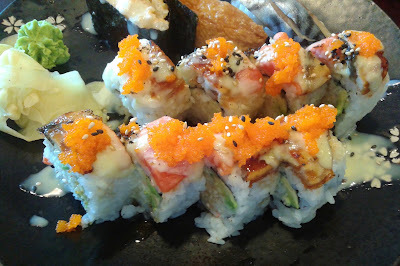 The quality of the food was not sufficient to entice me to try the nigiri, so I left the restaurant after the Dragon Roll. I believe the proximity to the airport has something to do with the higher prices, but generally, the quality did not live up to those prices. 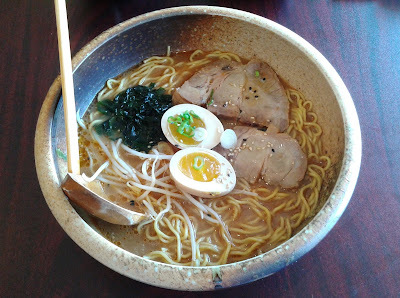 I have dined at both Neptune Seafood Restaurant and Neptune Wonton Noodle, and from those visits, I know that Neptune Restaurant Group is capable of much more than what I received here at Ryuu Japanese Kitchen. 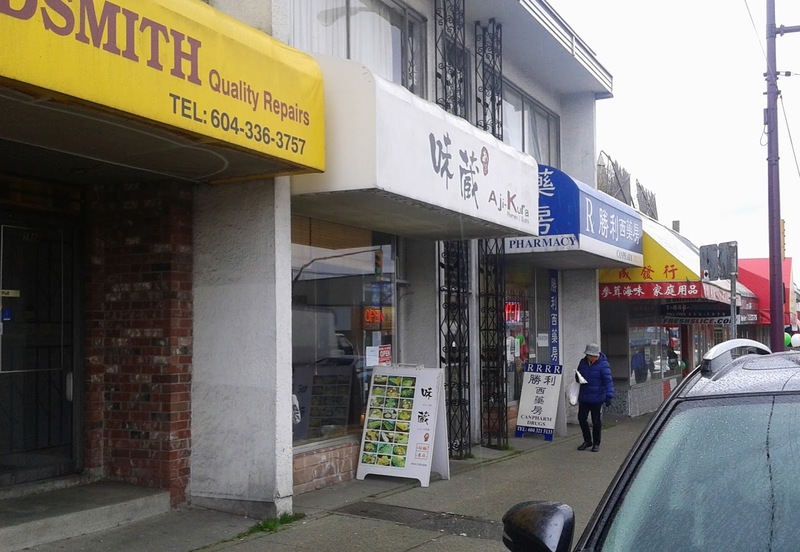 Port Coquitlam is a delightful place to visit, but it is basically a Bermuda Triangle if you are travelling by bus. The bus routes in Port Coquitlam look like something I would get if I spammed the buttons on my graphing calculator in one of the obscure modes. As much as I enjoy and survive on Translink's services, something might need to be fixed if an "intelligent" university student like me cannot figure out what's going on. 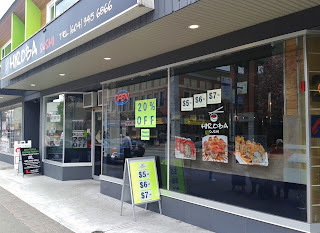 That being said, after a few eons of Raymond's Wrong Way Adventures, I managed to land myself at Hiroba Sushi. Other than the handful of bright, colourful signs advertising the restaurant's special deals, the restaurant has one of the most elegant settings for any Port Coquitlam sushi restaurant. 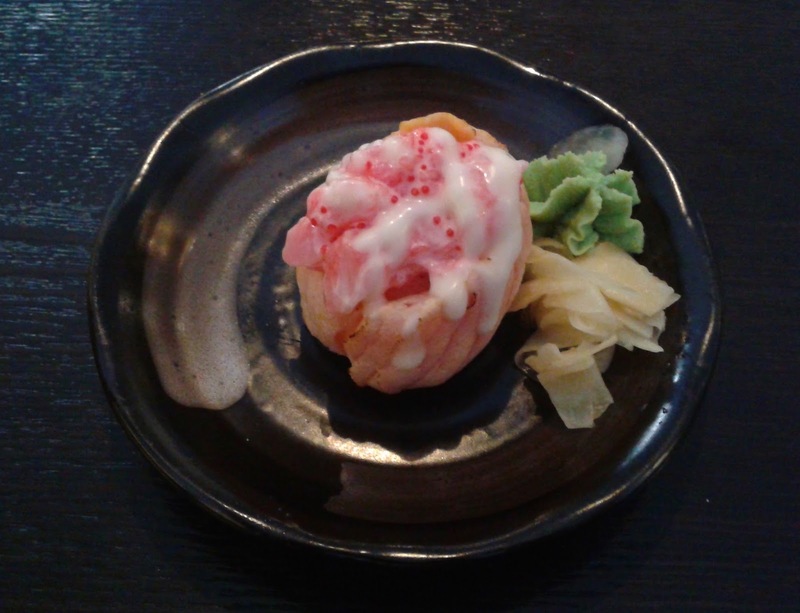 Hiroba Sushi is Korean-operated, and the extensive menu features many special rolls, including Aburi rolls. 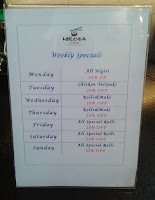 They also have a 20% discount on a particular category of items every day of the week. 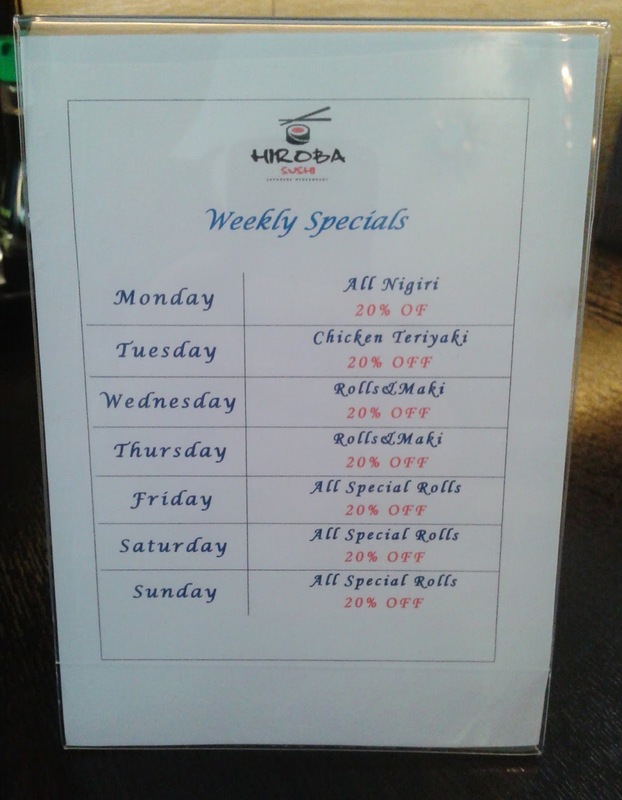 I came on a Monday and was pleased to see that the discount was on my favourite category: fancy nigiri. It's always nice when a restaurant cares about my personal preferences. On the list of new menu additions was the Cod Tempura. Although the menu said there would be six pieces, I only received four. I guess the dipping and the paper lining also count as pieces. 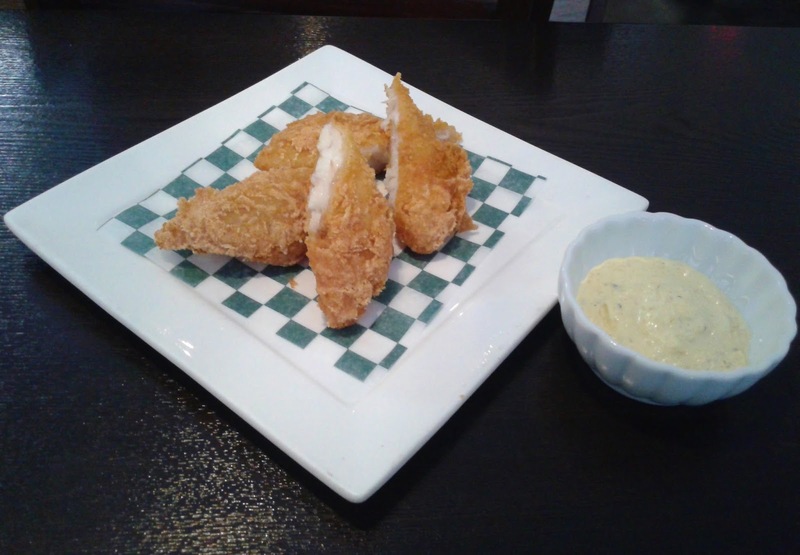 The cod had a sufficiently soft texture and a nice aromatic flavour when coupled with the creamy dill dipping, while the batter was slightly dry and overdone. 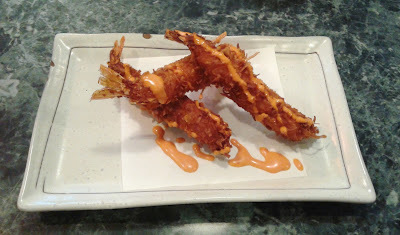 Overall, it wasn't the best fried fish that I have come across, but it was decent. The Toro Nigiri had a rich flavour and a melty texture, and it would be excellent if there was more of the toro to accompany the rice. 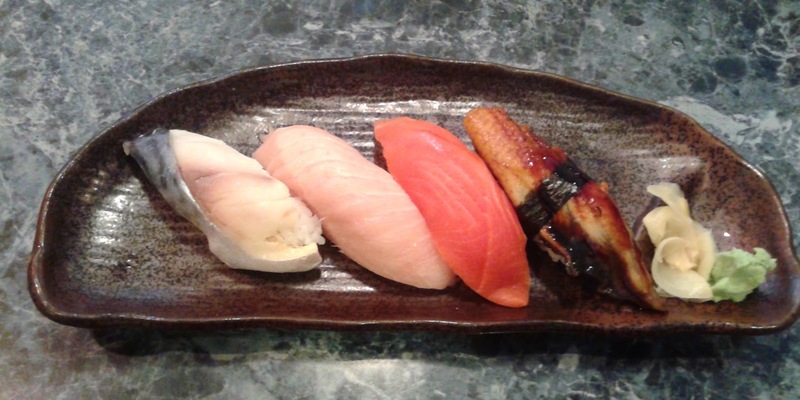 The Sockeye Salmon Nigiri was fresh with a pleasant smooth texture, while the Unagi Nigiri was not particularly soft and a bit dry. The Aburi Salmon Nigiri was creamy and accompanied by some pesto purée. 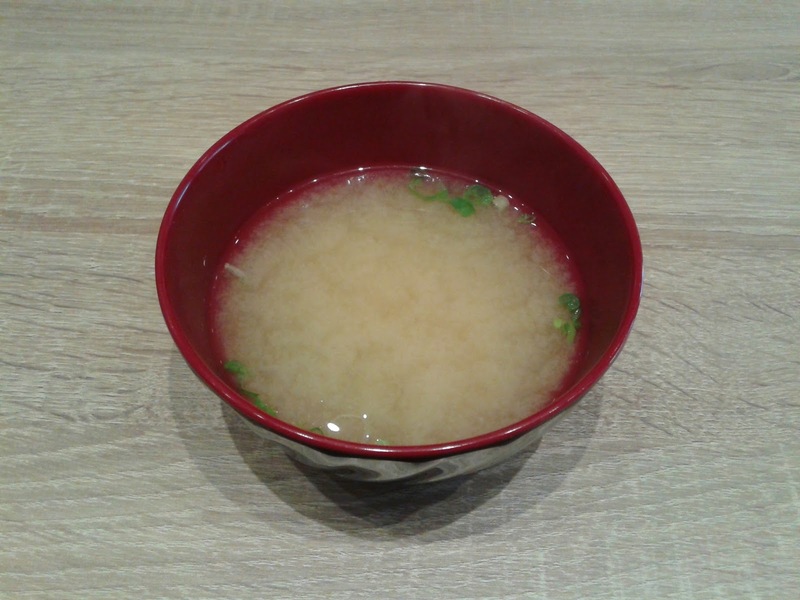 It would be nice if the sushi rice had slightly more flavour. Next, the Tuna Aburi Roll consisted of cucumber, avocado, tuna, seared tuna, ponzu sauce, and purée. 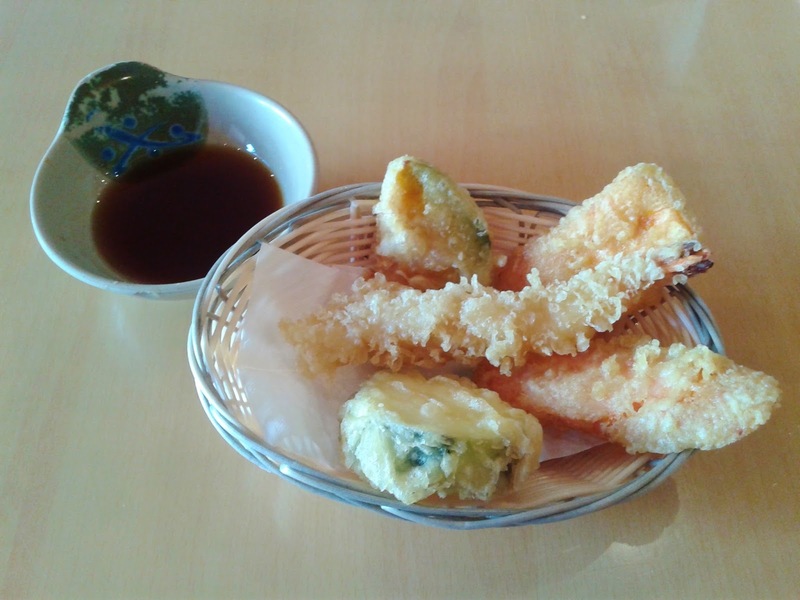 The cheese-flavoured purée was delectable and accented the flavours of the roll eloquently. 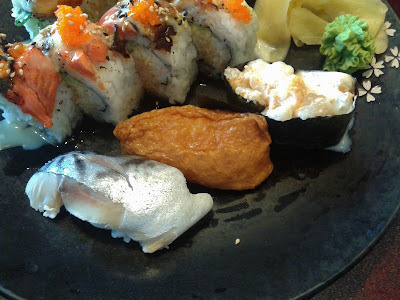 I also enjoyed the interplay between the soft tuna inside the roll and the slightly rougher smoked tuna outside the roll, though I would have liked more of a smoky flavour from the smoked tuna. The ponzu sauce, the sliced daikon, and the red onion contributed a good amount of tanginess to the roll. The lowlight of my meal happened to be the Yakitori. It was overdone and therefore, the chicken was tougher than expected. However, the leeks were still juicy, and the teriyaki sauce was applied appropriately. 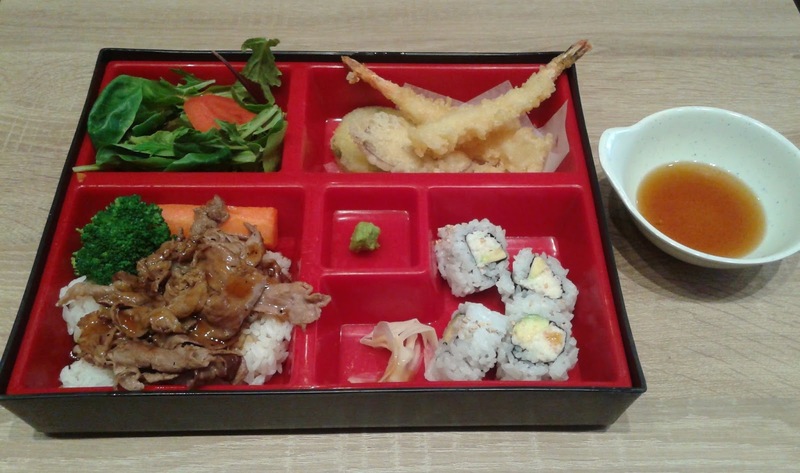 The food came in rather small portions, so I was still not full after my initial order. Since discounts are one of life's greatest pleasures, I decided to indulge in the fanciest piece of nigiri they had: the Flower Nigiri. 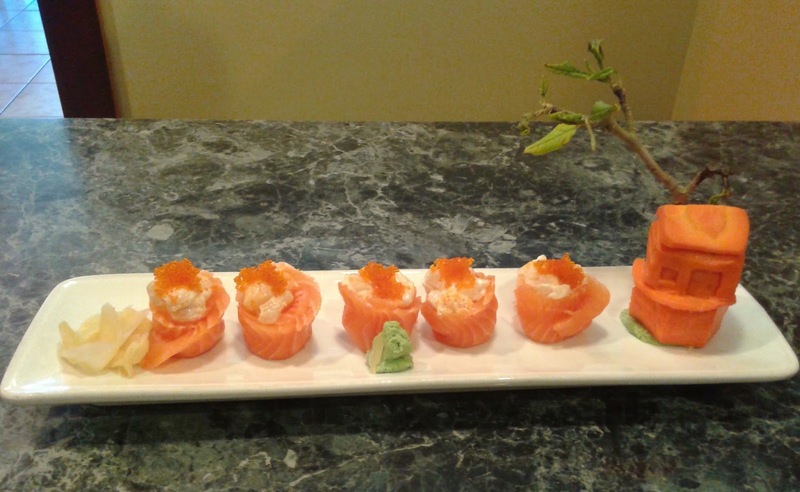 Shaped like a luscious rose with a gorgeous white liquid coming out of it, the Flower Nigiri consisted of chopped scallop, salmon, and sushi rice. 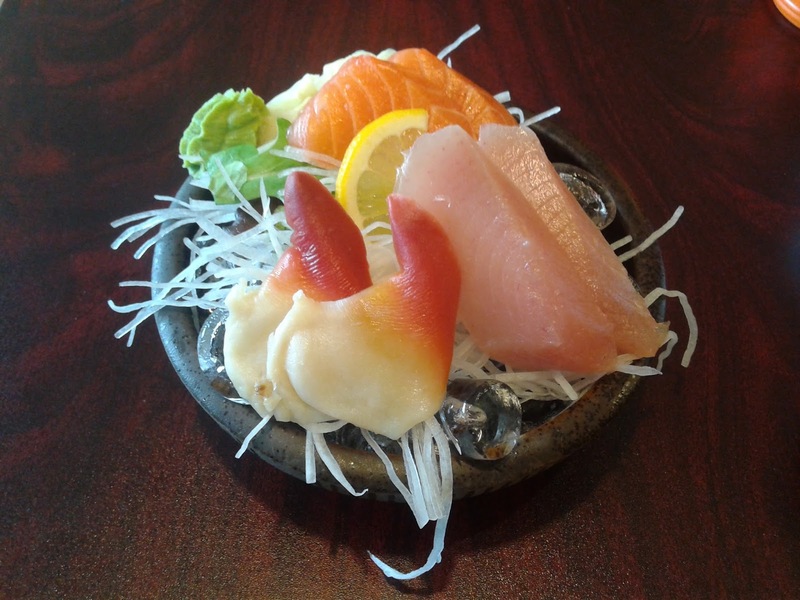 The sweet scallop was dressed with a chowder-like sweet creamy sauce, and the Atlantic salmon was seared. 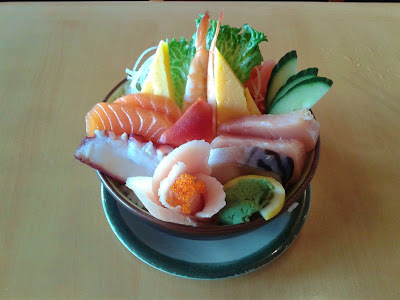 There was more of a smoky flavour here than in either the Aburi Salmon Nigiri or the Tuna Aburi Roll. 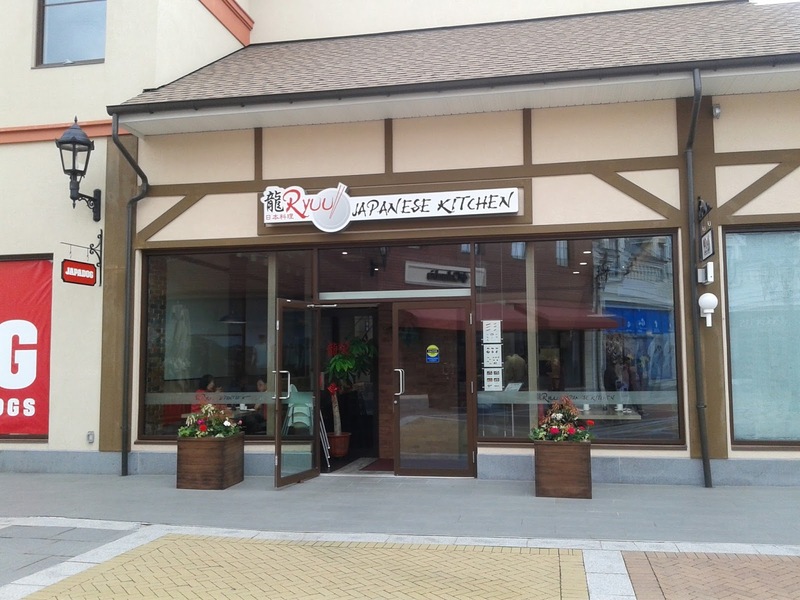 The service was friendly and complemented the stylish atmosphere inside the restaurant. While there were no very spectacular dishes, the quality of the food was quite consistent. The prices are not especially cheap, and the smaller portions mean that you may need to spend more here than in other nearby sushi restaurants. Once out of the restaurant, I found myself on another quest to find the right bus stop, but this time, the difficulty level was set to "Mission Impossible" because I simultaneously had to escape from a lady who was loudly claiming that the entire sidewalk was hers and that no one else belonged on it. I suppose this is what happens when people don't eat enough sushi. 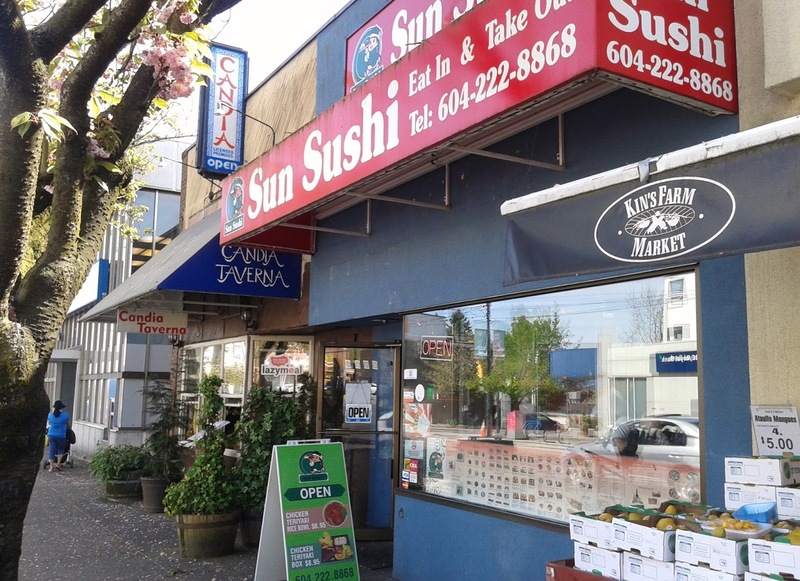 As horrible as my vision is, I have an eagle eye for sushi restaurants and things that are on sale. 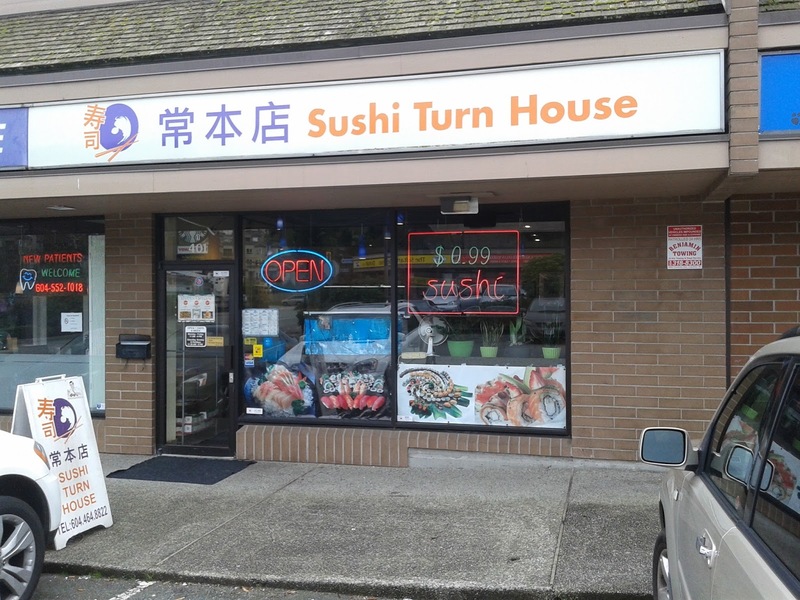 Sushi Turn House did not do a very good job at making itself look fancy, but it did an outstanding job at catching my attention with its "$0.99 Sushi" sign. How could I say "no" when I could fulfill my life's greatest desire for just $0.99? 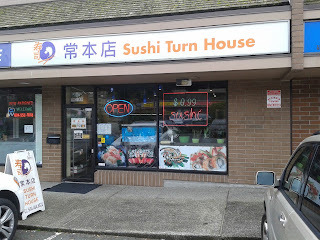 Unfortunately, when I stepped in, I found that it was $0.99 for only one piece of nigiri and not $0.99 for as much sushi as I wanted. However, the food was still inexpensive, and there was a good amount of takeout traffic coming through during my visit. 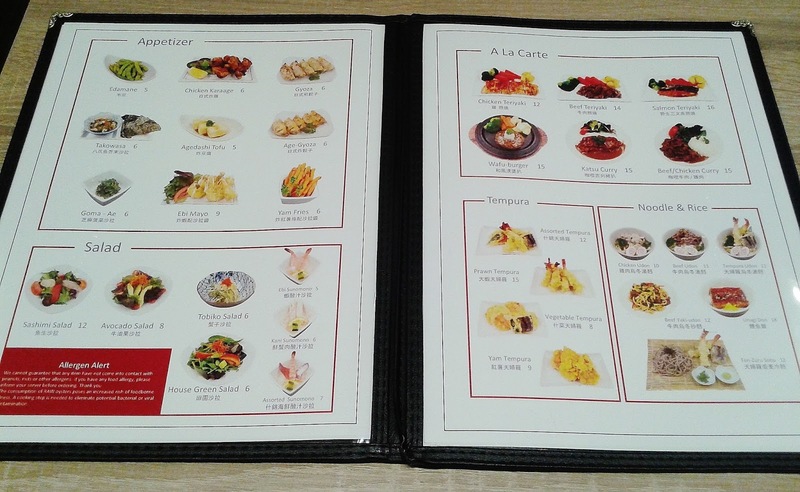 While examining the menu, I quickly noticed that the sushi chef and the waitress both spoke Cantonese. Although I am a fluent Cantonese speaker, I pretended not to know any Cantonese and see if I could possibly listen in on any of their secrets. Next up was the Appetizer Sashimi, which came with three pieces of tuna and two pieces of salmon. 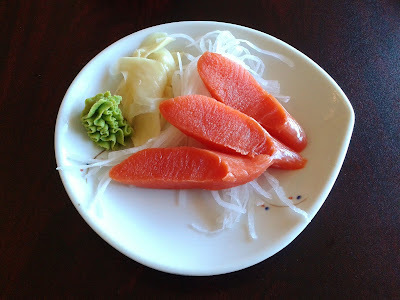 I was not particularly fond of the Tuna Sashimi because it was weak in flavour and quite sinewy. The cutting of the tuna into thick chunks did not exactly help. 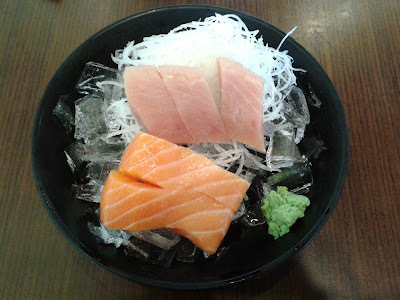 The Salmon Sashimi was cut slightly thinner and featured a nice smooth sheen. 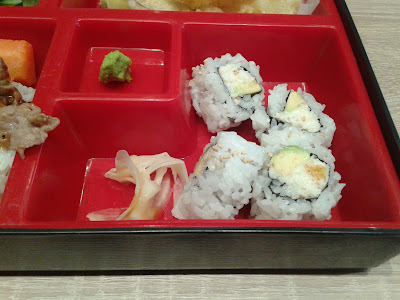 Of course, I had to try some of the $0.99 sushi, so I went for the Tai Nigiri (the Unagi Nigiri and the Toro Nigiri were $2 each). 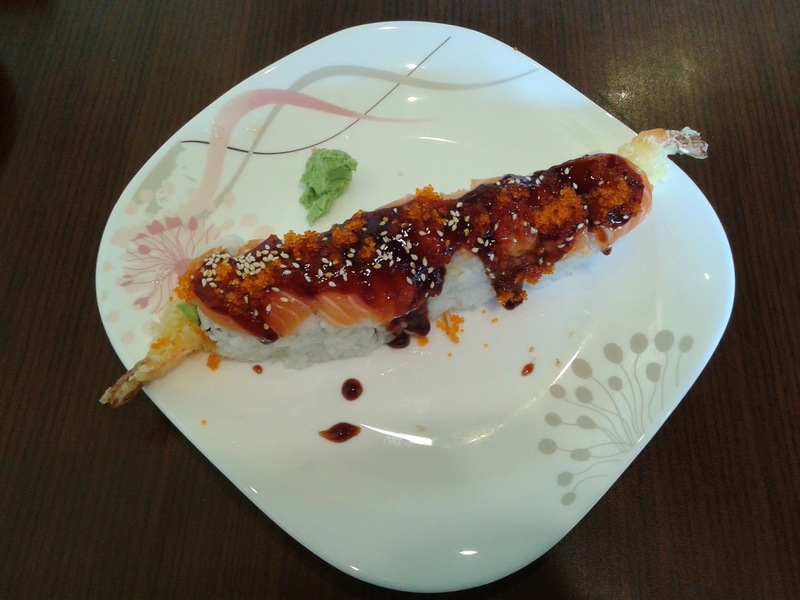 The unagi was savoury, but it lacked a smoky flavour and was overwhelmed by an excessive amount of sauce. The Tai Nigiri tasted slightly fishy, but at least it was not too chewy. 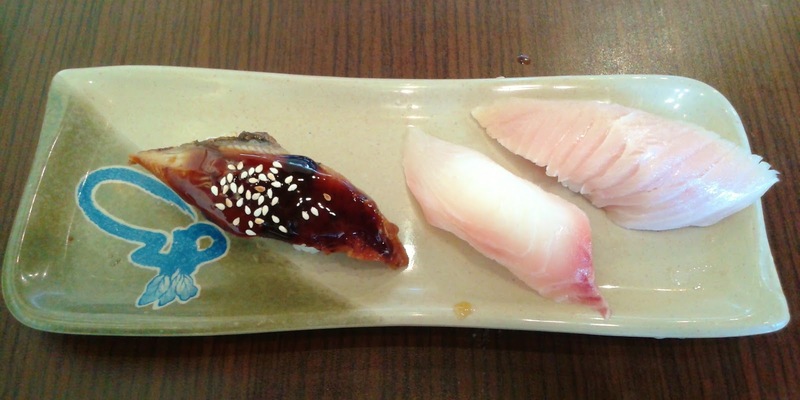 The Toro Nigiri surprisingly came with too little rice, which made it hard to pick up. The cut of toro was very generous, but it would be nice it had more flavour. 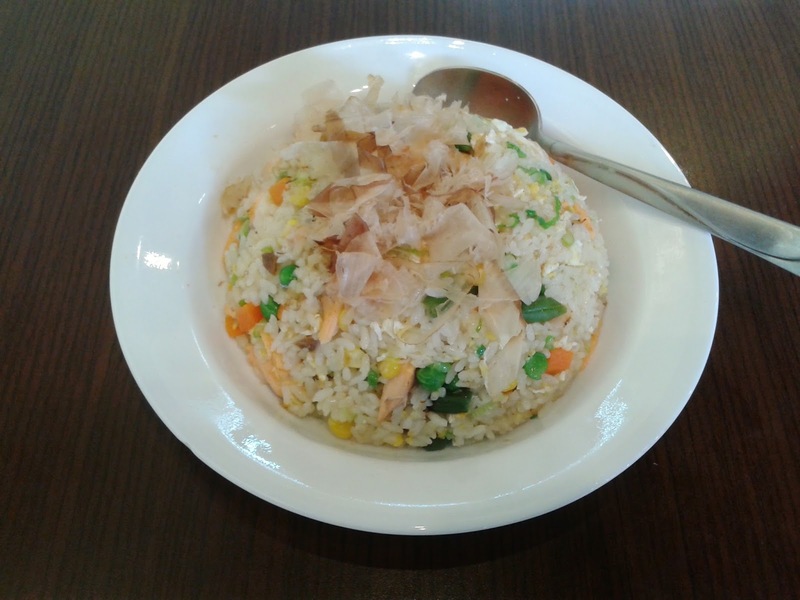 Seeing that the restaurant was Chinese-operated, I decided to try a Chinese dish: the Seafood Fried Rice. I was startled to find that this fried rice did not stack up to Kadoya's fried rice, even though this one looked more elaborate. The rice felt crumbly and was of mediocre quality. The cooked salmon was also a bit dry, but I did enjoy the savoury sweet scallops among the mix. 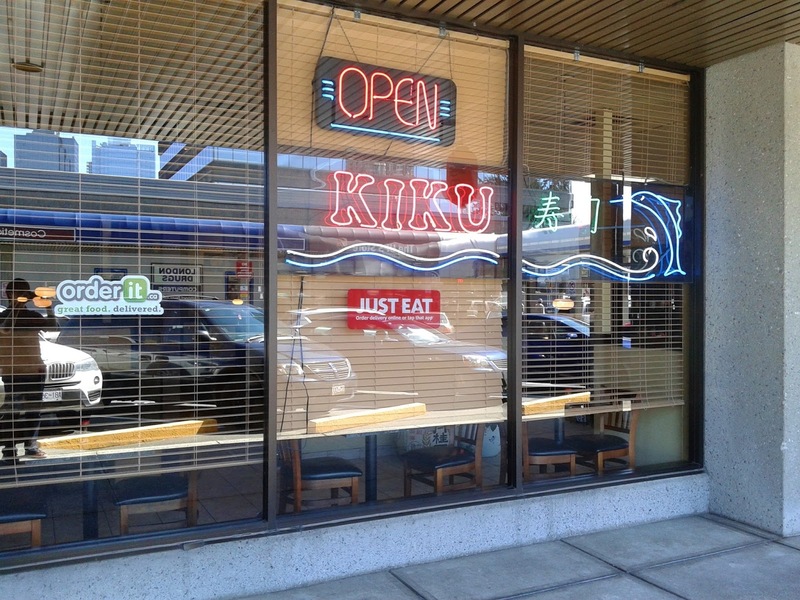 I received friendly service during my visit, and the sushi chef often looked around at the diners and assisted the waitress in ensuring attentiveness. 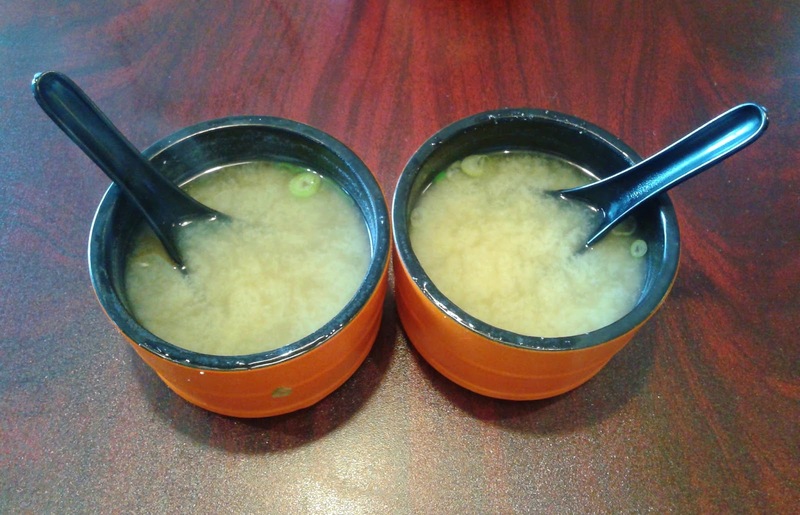 However, when I was half finished my fried rice and went on my phone to check my email, the chef looked at me and then said to the waitress in Cantonese, "Help him pack it up. How can he possibly finish all that food? He's just a child." I knew he was only trying to help, but seriously? Just a child?? I am old enough to say that my driver's license expired several years ago! I know that growing up isn't easy, but perhaps it is impossible for me after all.